Electrochemy is an online video magazine for Electronic music and the culture surrounding it. I don't care too much for genres; I think genres limit the possibilities given by awesome music software! 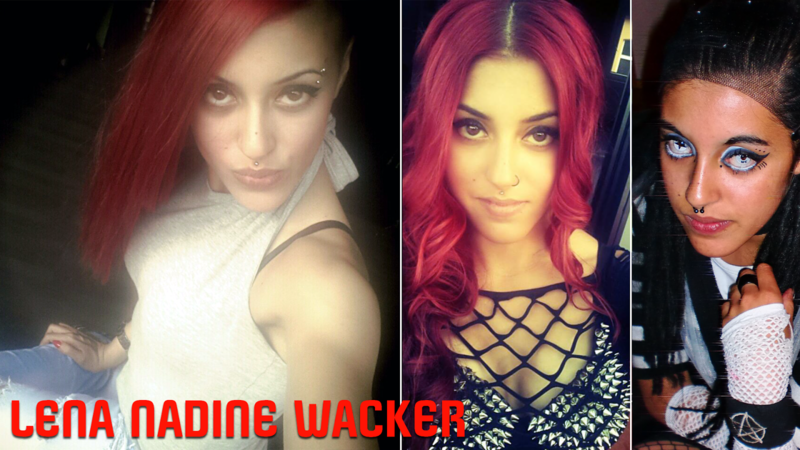 With great sadness and a heavy heart I am sorry to have inform you that a Beautiful Soul was taken from us, Lena Nadine Wacker from Stuttgart, Germany. Lena was only 21 when she was brutally murdered and her body was left in a graveyard and found on Thursday, 10 September 2015. The motive is unclear; I only found this terrible news through poking people back on Facebook (a few hours ago). I went to return Lena's poke and received feedback that the 'poke' was misplaced and therefore unable to go through. So, I did a quick search and you know the rest. I can't say that I knew Lena very well - if at all. But that's besides the point... Do we really ever get to know the people we consider nearest and dearest? Despite Facebook's nonsensical rules on connecting with "people we know" I, and I am sure that you too, can feel a sense of loss and deep distress to have had a young life taken in such an horrific and senseless manner. Lena had dreams of becoming a teacher and I am sure that she would have been a great one. We shall never know. May her Beautiful Soul rest in peace. I can see that she had many friends who are obviously upset and in mourning. The Cyber Gothic community is a unique one and worldwide. Needless to say that the Cyber Gothic community is very diverse. Lena was a well known figure / personality in the Stuttgart Cyber Gothic faction and was a regular at the VILLAGE Metropole der Nacht Nightclub. An attack on one of us is an attack on ALL of us. Lena Nadine Wacker will be sorely missed - least of all by me. My heart goes out to her family and friends. I can't begin to imagine what they / you must be going through. I offer my sincere condolences. Thank you so much for reading! Please stay safe! WILL YOU BE 1 OF THE 1ST 60? Al 'ELECTROCHEMY' McDonald. Simple theme. Powered by Blogger.